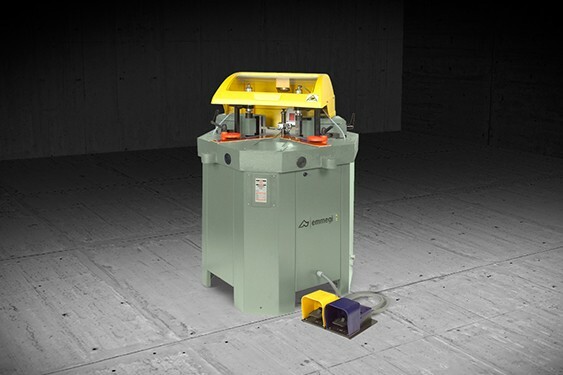 Crimping machine for closing corners of aluminium profiles for doors, windows and facades. The machine is controlled by an electronic system capable of storing, for each profile, the crimping coordinates. 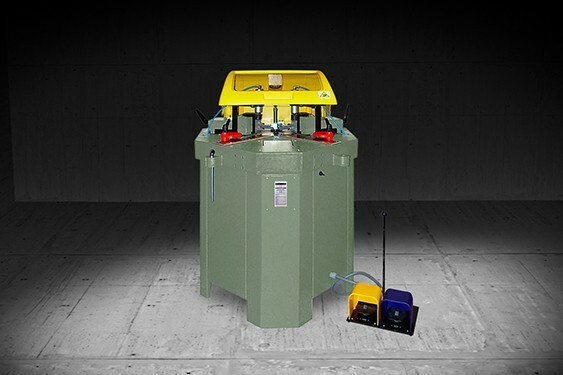 This information is required by the management system for the automatic positioning of the profile reference fork and crimping tools. The fork and tools position themselves automatically, simply by recalling the profile on which one must operate. The blades are universal, for all profiles, in the event a tool needs replacing the system notifies the operator.